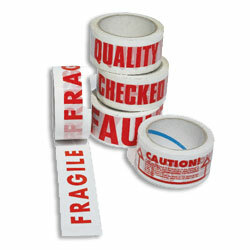 Secure parcels neatly and quickly with proper packaging tape and dispensers. Ideal for sealing cartons, no need for additional warning labels. 1 - 9 boxes - £ 37.89 per box. 10 + boxes - £29.49 per box.